BankDRT takes internship as part of their Corporate Social Responsibility (CSR) and invests a huge amount of time, money and energy in giving the best possible training, experience and exposure to the interns, and, not to speak of the fun quotient to them. Bank Debt Resolution is a very complex area of law and practice and very vital for the healthy growth of the business in general and MSME units in particular. This is also the field of high growth potential and huge career options. Most Law Colleges have banking law as only a peripheral subject. Hence team BankDRT tries to fill up this gap as much as possible. Allthough there may be students interested in this branch of law and practice, we accommodate a maximum of eight interns at any given time (four at Bangalore and four at Delhi). So that proper care and guidance can be given individually. Internship in BankDRTis a serious matter. Every intern will have to research on a point of law, and also handle one live case file generally associated with that point of law. Visits to Courts, Tribunals and exposure to working in these forums is part of internship. Every Intern will have to give a daily log report, a weekly log report, and, a project report. There would be a weekly and last day oral presentation which is generally on video between our Delhi/Bangalore Offices. Interns would have to travel at their local stations (Delhi/ Bangalore) which is compulsory, and out side their local stations (Zone Wise) which is optional. In order to prevent Non serious students from hogging internship space and preventing serious and deserving students from getting an opportunity a fee has been prescribed for internship in BankDRT. The fee is refundable if the intern gets 8 and above points in a scale of 1- 10. BankDRT offers long term internship (90 days) and short term internship (30 days). Long term internship is open for pass out graduates and short term internship for 9th and 10th semester candidates (of 5 year course). In some cases 7th and 8th semester candidates are also taken on internship. BankDRT is a paper less office, working in Wi-Fi environment and interns should be computer savvy. Intern should be prepared to follow office timings of 10 AM to 6 PM from Monday to Friday and 10 AM to 2 PM on Saturdays. Court formal on work days and casuals on Saturdays. Intern who do exceptionally well are also offered rewards in the forms of books/ cash, access to premium modules of the site, etc, permitted to upload their projects on to our web sites and permitted to use the urls in their resumes, their images + profile is also posted on the web site which they can also refer to in their resumes. 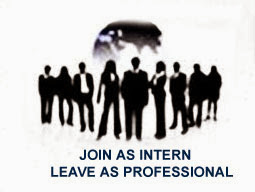 Exceptionally brilliant interns are also offered short term jobs to help them improve their resumes etc. Internship would in the field of Banking Law, Non Performing Assets, Debt Re-structuring and related fields. In addition to training on working norms in a Law Office, Internship will involve working either on a live Case File or a research project based on candidates interest. Successful candidate or also entitled for access to the premium pages website costing about Rs.27750/- in additon to necessary certificate. The intern may also be permitted to use the platform to display his profile + articles and quote them in his/her CV. The intern would also to entitled to a discount of up to 50% standard fees for any workshop, books etc of this firm. Interns are freely enrolled to the interns club of BankDRT wherein they can discuss and share intellectual topics with the past and present interns. Interested students may apply to intern@bankdrt.com with subject line as "Application for STI Internship"
Applications for Medium term internship (90 days) are being accepted from students who have passed out of their Law Colleges and are looking for hands on work experience. Apart from work culture of a law firm and working in Courts the interns would be able to work on live case files and/or on a research projects. Interested students may apply to mti@bankdrt.com with subject line as "Application for MTI Internship"
Applications for Long Term Internship (180 days) are being accepted from students who have passed out of their Law Colleges, have got themselves registered in any bar council and are looking for hands on work experience. In addition to work experience Certificate, a stipend upto of Rs. 5000/- would be paid. Interested students may apply to lti@bankdrt.com with subject line as "Application for LTI Internship"
Considering the fact that the domain of banking law is a rarity amongst law firms, and many students would like to Intern on the subject, BankDRT has instituted an online internship for the benefit of students who would like to familiarise themselves such a laws. Online internship facilitates students to work from their place of residence, at their own convenience and at a time convenient to them. The internship will be based entirely in the virtual world using Internet/ mail/ Skype et cetera. Interested students may apply to ol@bankdrt.com with subject line as "Application for Online Internship"
When faced with a serious health problem, Get at least there medical opinions.